Believe it or not, Will's original is actually seven years old now. A sultry, sombre roller, it featured on the end of his album Space Between and I very much doubt he expected it to keep on giving and giving. 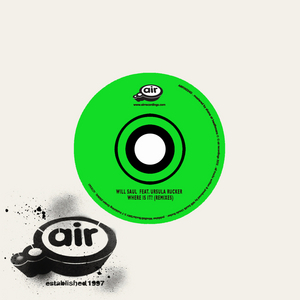 You can thank Air Recordings for this; first available with a brooding Evil Nine remix in 2006, now back with so many new leases of life it's nearby immortal. Pimpsoul leaves us in no doubt as to who's the nu funk party boss with his now trademark squidgy bass, Mr No Hands opts for a 20/80 techno breaks blend, Audited Beats pay homage to the depths and subtleties of Will's original while The Gaff tears up the favela with big beat gusto.